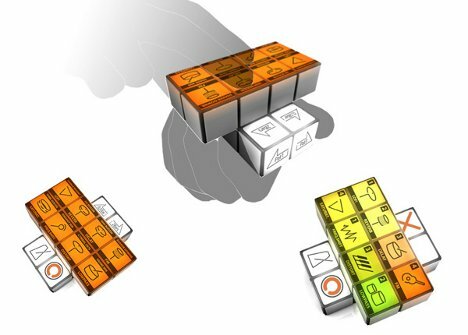 Creating and tweaking digital music usually requires being stuck in front of a computer, but the MusixCube from designer Hauke Scholz lets musicians compose tunes on a slightly longer leash. The cube’s design is based on that of a Rubik’s Cube and contains 40 touch-sensitive, pressure-sensitive OLED screens. Each cube is separated into five distinct layers: group, sampler, options, levels and FX. By twisting, tilting and turning the cube, a musician can access all of the layers and screens and use them to create tons of different effects. 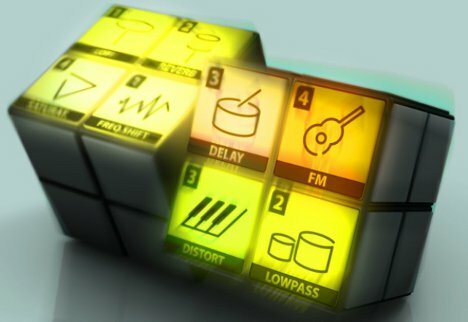 The cube is connected via Bluetooth to software of the musician’s choice, acting as sort of a remote control to give the artist a visceral type of control over software’s functions. If a collaboration is in the works, two musicians can use their MusixCubes together simply by being in the same room. The active tracks on both cubes will combine, creating a new and unique piece of music automatically. Musicians can also perform their tracks live by manipulating their individual cubes in front of a crowd, although it probably wouldn’t be much more fun to watch than musicians performing on computers in front of a crowd.